KINGS CANYON NATIONAL PARK, Calif. May, 15, 2017 – Sunset Campground in the Grant Grove area of the Kings Canyon, will have to remain closed until further notice. It was scheduled to open on May 24 but many trees killed by drought, insect activity, and a heavy winter created far more hazards than expected. “Other areas in the Sierra are starting to recover and tree mortality rates are declining. Our area, however, is taking longer to recover, and tree mortality in these parks is predicted to remain extremely high this year,” said Chief of Resource Management and Science, Christy Brigham, Ph.D. Campsite reservations for Sunset Campground between May 24 and June 7 have been canceled, and no new reservations will be taken until it is known how long the tree removal will take. 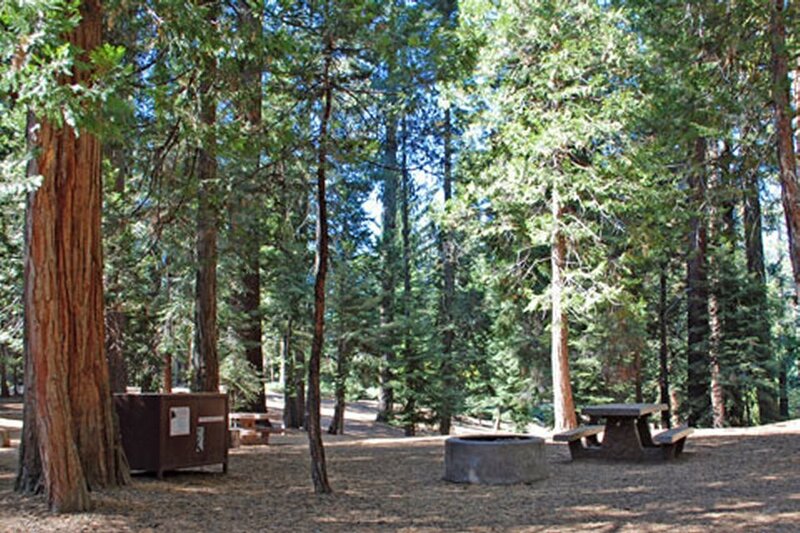 Nearly half the individual campsites in Kings Canyon National Park will be closed due to tree hazards over the Memorial Day weekend. “We truly regret the inconvenience caused by the delayed opening, but it’s a necessary measure to decrease risks to visitors,” said Jason Watkins, Acting Superintendent of Sequoia and Kings Canyon National Parks. The parks expect an extremely busy Memorial Day weekend. Campgrounds will be full and locating a campsite will be very challenging. Camping on a limited first come first served basis will be available in Sheep Creek and Sentinel campgrounds in Cedar Grove, and in Azalea Campground in Grant Grove. Please check with the USDA Forest Service for camping opportunities in the Sierra and Sequoia National Forests. ← ACK! What’s on my hackle?